The month of April was a favourite in itself due to my birthday, parents 40th wedding anniversary and of course my amazing trip to America, that said it seemed harder than usual to pinpoint one or two favourites for you. You’ll see one or two of my everyday favourites in the multiple empties posts coming up (read part one here) but here are a few others worth a mention. After watching Miss Glam’s packing video (find it here) when she featured some packing cubes I went straight onto google to hunt down them down for myself. I love packing and due to the clothes need for my trip combined with a desire to do some shopping whilst in the US I knew organisation was required. I hate how clothes arrive at your chosen destination, muddled up no matter how much attention has been given to packing and folding neatly but these three packing cubes made it a dream – and even better when my case was overweight on one leg I simply removed one of these cubes and popped it into my hand luggage. They were also handy for dividing clean and dirty clothing as I moved locations. I’ll never travel without them in the future and will definitely think about adding some varied sizes for other items I usually take with me such as chargers and the like. When I first visited the US many years ago I discussed Twizzlers and my friend will forever remind me of the ridiculous large tub I purchased and how she would wake in the morning to hear my chomping away on a Twizzler. Packs are always brought by myself or as gifts for others who have travelled stateside and of course this month’s trip was no difference. If I’m honest they are possibly falling out of favour to Swedish Fish, another sugary treat but for now Twizzler’s will always have a special place in my heart – even if everyone else I know hates them! In the past bronzers have always been scary things and I tended to avoid using them for fear of that tangoed look. The first bronzer I went to when I decided to dabble was the Clarins Bronzing Duo. it looked complimentary to my skin tone as well as not too orange and I have used it frequently. The past months I’ve become braver with bronzers, tackling contouring (amateurishly) so it had been cast aside until for other products until I was pulling together make up for my trip. I would usually swirl the two colours together and apply for a natural bronzed glow but newfound knowledge led me to realise that I would be able to use the darker side as a contour as well as my usual method. 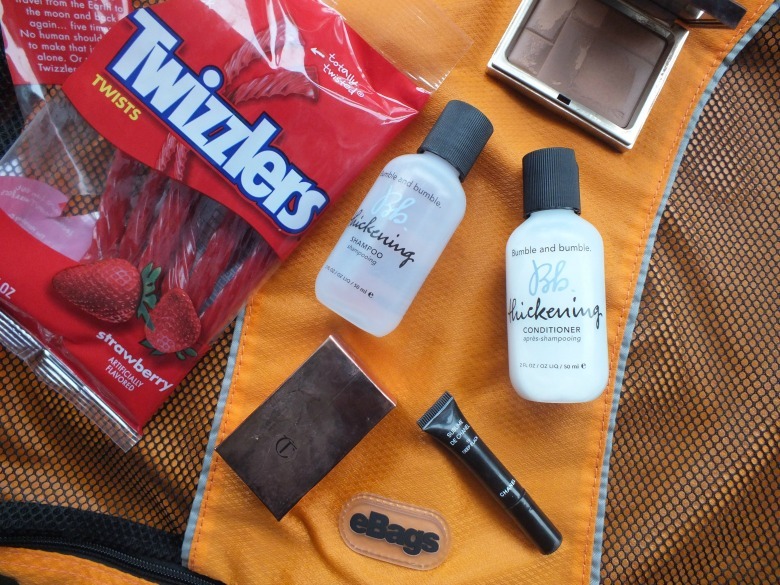 We all know that a two in one product is the best for travelling and it didn’t let me down. Once again when packing for my trip I opted for the mini sized Chanel Le Volume mascara but there was nothing mini about my lashes when I used this. I will definitely be adding it to the wishlist and thinking about making it my Duty Free purchase when I visit the airport again in September. Available in a waterproof version if that is your preference this macara will not disappoint. It didn’t top my love for Tarte’s Lights Camera Lashes which I featured in my March favourites here but it could very well be my second favourite. Highlighters, apart from their neon yellow form as a on the desk staple were something that had not even appear on my radar, even during the peak of the Kardashian hype. Now suddenly there is a highlighter in my life that makes the monthly favourites spot and that is the gorgeous Bar of Gold from Charlotte Tilbury. Any beauty lover will remember the hype surrounding Charlotte Tilbury’s make up range launch and I managed to show restraint and waited to put some items on my Christmas list. Ben kindly brought some bits and pieces (and never lets me forget his horror at how much make up costs!) including the Bar of Gold highlighter. Firstly this not a cheap highlighter and even I was shocked at the size of it, cute it may be but it’s definitely on the smaller than I expected size – I mean bars of gold always seem so large in the movies. But all that aside it is a stunning product and one I have reached for more often than not when occasion calls for it. The champagne gold finely milled powder is both subtle yet obvious but not scary it literally does what it says on the tin and as someone who is conscious of highlighting the wrong parts, ie lines and pores this doesn’t cause any problems at all. This Bumble and Bumble duo was among my first beauty products purchased whilst in San Francisco’s branch of Sephora (the rest of the purchases can be found on Instagram here) and only came about by chance due to their far too tempting beauty bars which sits beside the till points. The shampoo I took on my holidays wasn’t one of my favourites so I thought I’d dive straight into using these and once I saw the results anything else was cast aside. Since my return I’m trying to finish the dregs of other products and am definitely missing my thicken shampoo. 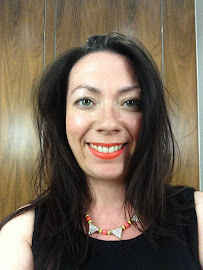 My hair certainly felt fuller and far more voluminous on my travels which isn’t always the case when battling high heats and humidity. I will definitely be purchasing full sizes of these babies when the time comes. What did you love during the month of April? strawbery twizzers are the best!!! I'm loving my Chanel les beige which I bought last week on your recommendation, I may be going back for their le blanc next week! I've read good things about those packing cubes; not much help for kitty litter and tray tho'. (It must be worse than travelling with kids, taking 2 cats on holiday!). Always fancied try b&b things, but just never justify the cost. Silly really. Same with 'posh' cosmetics, but getting better! Whilst I have tried and brought one or two things from Bumble & Bumble I do find that high street alternatives are just as good but these are pretty amazing - I'm just not looking forward to spending nearly £40 when I replace with the larger sized bottles.